Coffee with Special Friends in Colombia! I loved the wonderful coffee in Colombia, and as wonderful as the coffee was there was much more for us to experience in Colombia. We spent the first part of our time in Colombia in Bogotá where we saw many of our MTW missionary colleagues, including Joe and Becky Harrell. We first met the Harrell’s when we served together with them MTW in Mexico City. From Bogotá, we went to Manizales. Manizales is not far from Bogotá. It’s only about an hour by plane. Manizales is near coffee country. Dawn and I spent a few days with a young couple, Luis and Kerly who we first met in Ensenada where Luis was studying for his doctorate. They are a gifted and loving couple, and they love Jesus. Luis and Kerly wanted to start up a cell group in their home and they were praying for a good time for them to start it up. They felt like the Lord was leading them to start it while we were there, and they wanted us to help them kick it off. Luis and Kerly asked us to share with the group some of the things that the Lord had put on our hearts. Dawn and I had a wonderful time with the group, and we enjoyed sharing with them and leading them in prayer. Those who came responded really well to what we shared, and they told us that it helped them and it encouraged them. One particular couple wanted us to come to their house the next day. Dave & Dawn with Luis & Kerly. She is due with their second child any day now. They opened doors for us to minister to their friends! So on Saturday Dawn and I went to David and Maria’s house. After we shared a meal together we all went into their living room. Their two grown children and Maria’s mother also joined us. Dawn and I lead them in prayer, and as we prayed we discovered that Maria was carrying a lot of fear and guilt. She was very open with us and told us that when she was 17 years old she got pregnant and she was afraid and didn’t know what to do. Maria didn’t want to tell her parents so she decided to take some herbs that she thought would cause the baby to abort. She also got up on a chair and jumped down hoping that would cause the baby to be aborted. She was still carrying tremendous guilt because of her attempt at aborting her baby! In God’s grace, she wasn’t successful in aborting her child. And her son, Jorge was in the room with us and he was praying with us. We lead Maria with the support of her family through some prayers to cut off the guilt and shame that she was carrying. We reminded her of God’s promises in Romans 8:1. God promises to forgive those who are in Christ. There is no condemnation for those in Christ Jesus! Dawn and I encouraged Maria to ask Jorge to forgive her for trying to abort him. It was such a beautiful moment. I wish you could have been there to experience it with us. Maria and Jorge were crying as they asked for forgiveness, and we all began to cry with them as we saw God move and bring healing. Maria told us she felt the peace of Christ after our time of prayer! It was so good!😊 Thank you, Jesus! I took some time to explain the gospel message to him. How Christ died for his sins. Christ died the death that we should have died. He lived the life that we should have lived. He paid the penalty for us. Christ defeated sin, death, and Satan on the cross and through his resurrection. I went on to explain the importance in placing our faith in Christ in trusting His work and in calling on His name so that he might be saved from his sin. After I shared these truths with Jorge I asked him again if he would like to pray to receive Christ, and he said, “yes.” Then I had the privilege of leading Jorge in prayer to repent of his sins and to receive Christ as his Lord and Savior. His family joined us in prayer. We were all rejoicing after that seeing God’s mighty hand. David and Maria and their family are such sweet people. Just like our friends Luis and Kerly. It’s like the Lord just knit our hearts together, and the Lord continues to grow our family. It’s one more way that I see the Lord redeeming our daughter, Hannah’s early home going. So painful, yet our Papa loves us and he brings healing and hope! Divine Appointment: A Changed Life! Dawn and I are seeking to grow in being more sensitive to the Spirit as we go through the day. We are realizing more and more that much of ministry happens in the unplanned moments as we go through our day. I’m in Mexico City this week! I love this city, because of all our friends here and the many years we lived here. On Friday Mario Silva and I went out for breakfast at the local VIPS so we could talk. Well, we ordered and just began to eat our breakfast when I noticed a woman sitting at a table near us, and she was crying. I asked her if she was okay, and she said that she was going through a really hard time. Mario and I invited her to sit with us. We soon found out that her name was Gaby. When we asked her what was going on, through tears she shared, that her husband who is a successful doctor has been sleeping around. Gaby went on to say that she found out recently that he was using Cocaine. Mario and I began to share with her how much God loved her, and that was part of the reason she sat near us that morning. It was in the Lord’s loving plan for her to meet us, so we could share the love of Christ with her, and give her hope. Then after we spent some time with her encouraging her, we also shared the gospel with her, and we told her the only way to fix her life was to let Christ into it. That’s where it all begins! We asked Gaby if she would like to pray with us to receive Christ and she said yes! I had the privilege along with Mario to lead her in prayer to receive Christ as her Lord and Savior! Mario’s wife, Silvia is a very godly and committed follower of Jesus, so we told Gaby we’d like to connect her with Silvia so she could help her grow in her new found faith, and give her some wise counsel as Gaby seeks to navigate some of the challenges she is facing in her life. Seeking to share the love of Christ wherever we are, and whenever the Lord opens the door! Dawn is usually the one to meet people in restaurants and share the gospel with them. She’s been a good example for me. I’d say on average Dawn shares her faith with at least one person every time we go to a restaurant and often with even more people. It was encouraging that even though my extroverted wife wasn’t with me that the Lord opened this door for us. Can you say, “Divine Appointment”? The Lord has blessed me with a special gift. 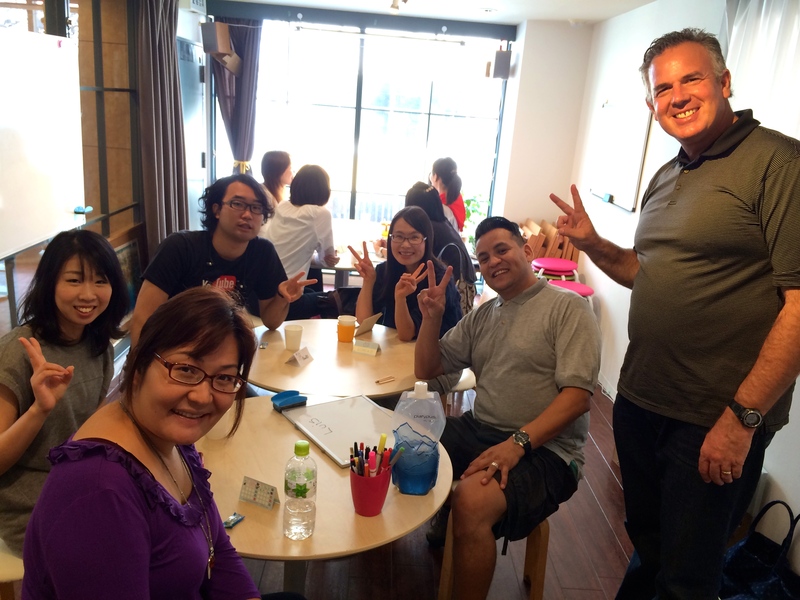 I’m in Japan for a few days with our friends, Issaid and Mie Arechiga who Dawn and I first met in Mexico City. Next week I will be involved in Mission to the World’s (MTW) leadership meeting in Cambodia. It seemed like the perfect time to visit Arechigas as I’m on my way to Cambodia. 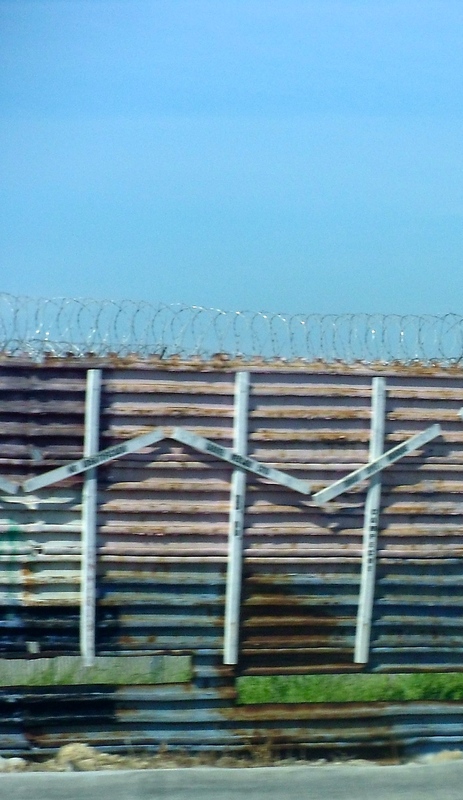 After we left Mexico City Dawn and I caught up to Issaid and Mie on the border. 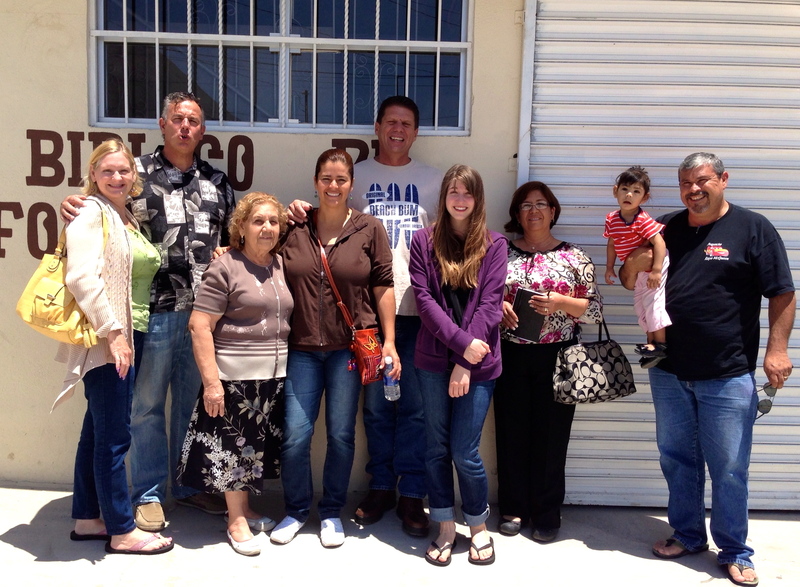 They were involved in our first church plant in Mexico, and then a church plant we are helping with on the border. Last year they moved to Japan, where Mie is originally from. They are working on returning to the U.S. We’ve missed them a great deal. It’s a real gift to be able to spend this time with them. 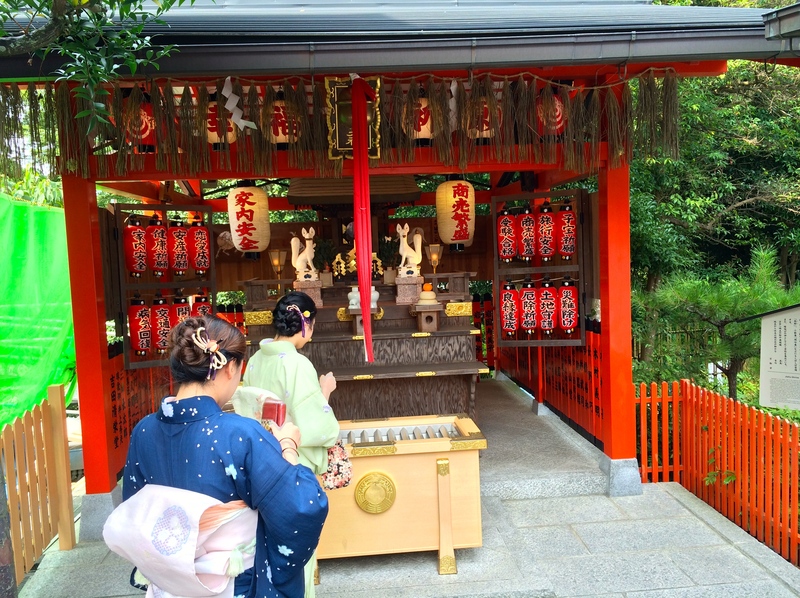 Japan is a beautiful country with good people. It’s one of the safest places in the world to live. There’s only one problem, very few of them know Christ. Less than 1% of the population call on the name of Jesus Christ. This is the paradox of Japan. On the outside things seem just fine, but when you lift up the hood you realize that it’s not as healthy as it first seemed. It breaks my heart to see such a wonderful people lost. They are doing well in many ways. They are a moral people. For these reasons and more they don’t see their need for God. There is not the poverty here or the violence that one finds in Mexico. Yet, there is a profound spiritual poverty that they are blind to. MTW has a large missions force here, and the Lord is using them to make a difference, but it is slow work. Pray for their strength and that the Lord will encourage them as they labor. The only hope for Japan is found in Christ! O Lord, would you open the eyes of the people here so that they would see their need for a savior. Work in their hearts so that they might realize that they are poor in spirit and in need of a great Savior, Jesus Christ! 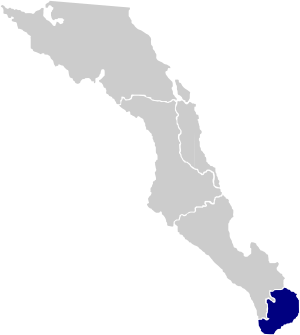 Is the Gospel Advancing in Mexico? This weekend I’ve had the privilege of being in gospel advancement meetings in San José de Los Cabos. It’s been wonderful to be with fellow Mission to the World (MTW) teammates as well as pastors and leaders from the national church. I must confess that at times the meetings were tedious, but overall I found our time encouraging. Everything happens through relationships in Mexico, and we had an outstanding time to get to know our Mexican brothers and sisters. We were able to play a key role in the meetings. 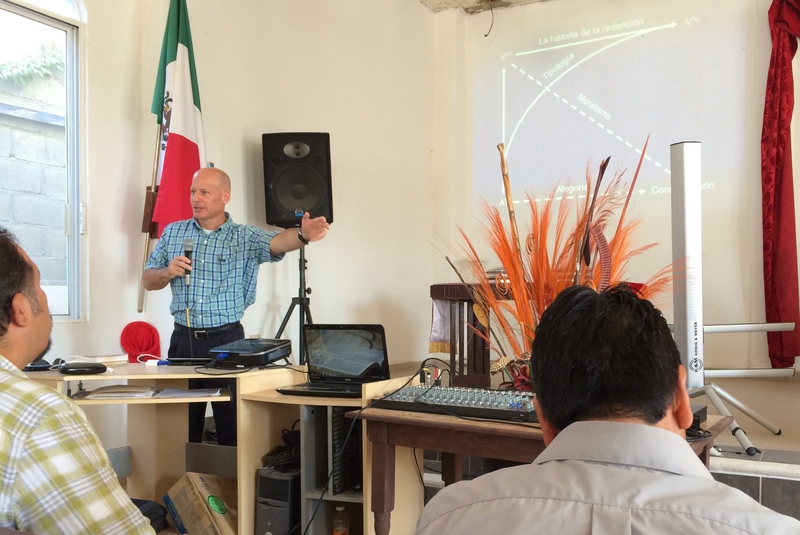 On Friday my friend and our Mexico director, Larry Trotter did an excellent job teaching on Christ-centered preaching. He had the majority of the people there asking him when he could come speak and teach at their church. Larry also preached a Christ-centered sermon on Sunday from Psalm 110. It was a great exclamation point to the churches 6th anniversary celebration. During the service three people publicly confessed their faith and they were baptized. On Saturday I enjoyed the opportunity to teach on church planting movements. My teammates, Peter Boling and Jim DeWitt assisted me. The group received it well, and I am very encouraged as we all leave. I do pray that the gospel will advance in Mexico, and I pray for your Holy Spirit to blow so that we will see many won to Christ, and many new churches planted. Jesus please do your might work! On a Dark Day He Cried Out, It is Finished! Friday is a dark day, but the light of Christ shines brightly from the empty tomb on Easter Sunday. Thank the Lord for the cross, where Christ bore our sins. Where Christ paid it all – tetelestai, it is finished! Then Jesus, calling out with a loud voice, said, “Father, into your hands I commit my spirit!” And having said this he breathed his last. Now when the centurion saw what had taken place, he praised God, saying, “Certainly this man was innocent!” And all the crowds that had assembled for this spectacle, when they saw what had taken place, returned home beating their breasts. And all his acquaintances and the women who had followed him from Galilee stood at a distance watching these things. 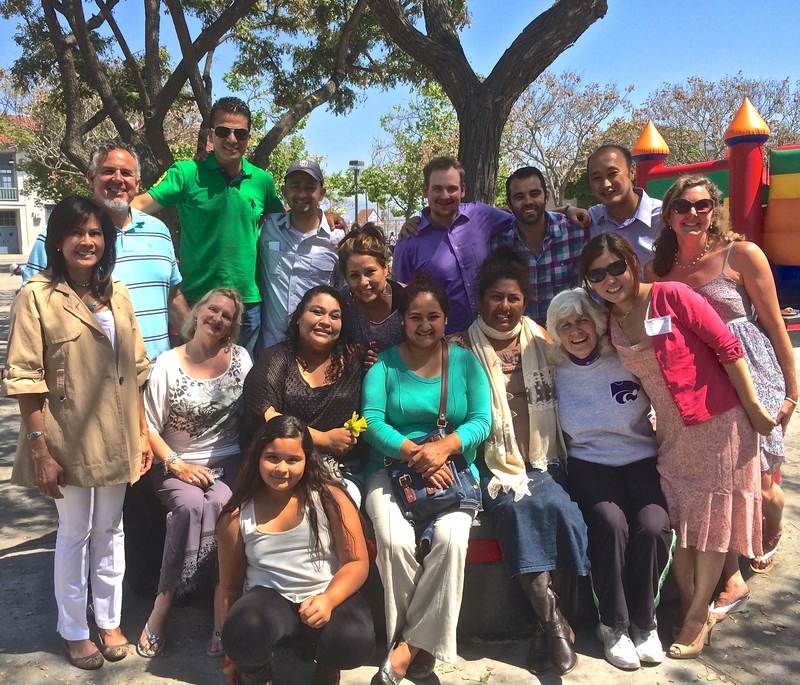 God is Building His Church in Baja! One of the things that I’m most excited about as I look back on 2013 is the expansion of our team and missions presence. The Lord opened the door for us to begin working with Peter and Jenny Boling! They are missionaries with Mission to the World (MTW). 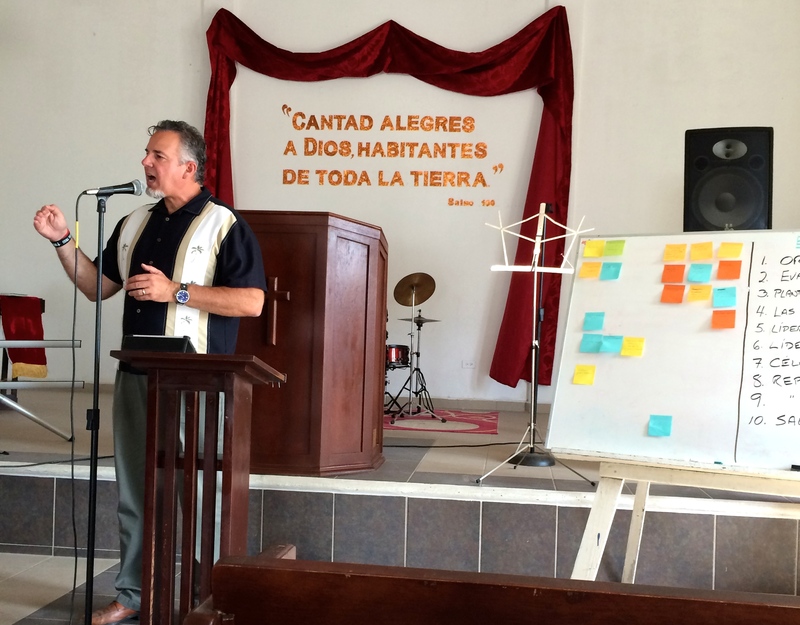 Peter and Jenny were ministering in Bogotá, Colombia, but they felt God tugging at their hearts and calling them to Los Cabos in Baja California. Dawn and I are thrilled to work alongside the Bolings, and have them join our team. The only complication I’ve had is that I’ve called our team the San Diego-Tijuana team, so now we have to adjust some 🙂 . Although I always thought of it as San Diego-Tijuana and beyond! It’s thrilling to have more workers, which is one of the answers to prayer that we’ve seen this past year. We are so excited to see our missionary force expanding! Lord, please continue your work and send even more laborers. 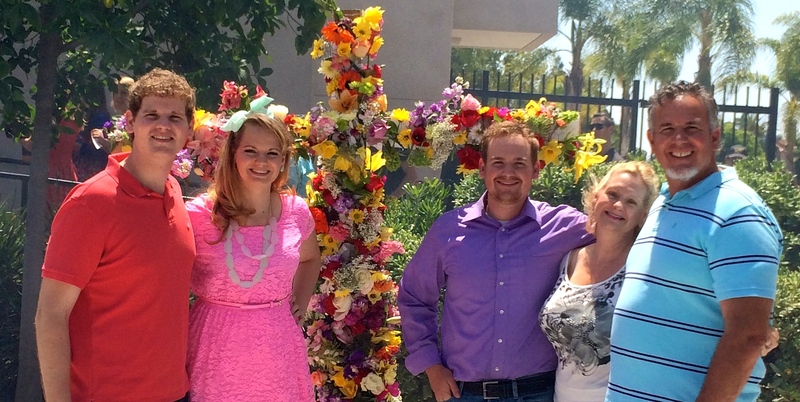 Peter and Jenny moved to Los Cabos in September, and they are already connecting with ministries at the tip of Baja. The Bolings are caring and loving servants, who are full of grace. I believe that the Lord will use them in a powerful way in 2014 and into the future. Peter was saved out of a gangs and a wayward life. This has given him a tremendous platform to minister to those that are caught up in a lifestyle of drug addiction, alcohol and gang warfare. One of the ministries that Peter has connected with has an effective outreach to those in gangs. Many gang members are coming to Christ and growing in their faith. The Lord set the Bolings up in 2013, which allows us to be in prime position to start a new church planting project in La Paz in mid-2014. It’s amazing to see how the Lord brings things together. We appreciate your prayers for Peter and Jenny as we begin to work on this new project. The Bolings are still in the process of getting rolling themselves. 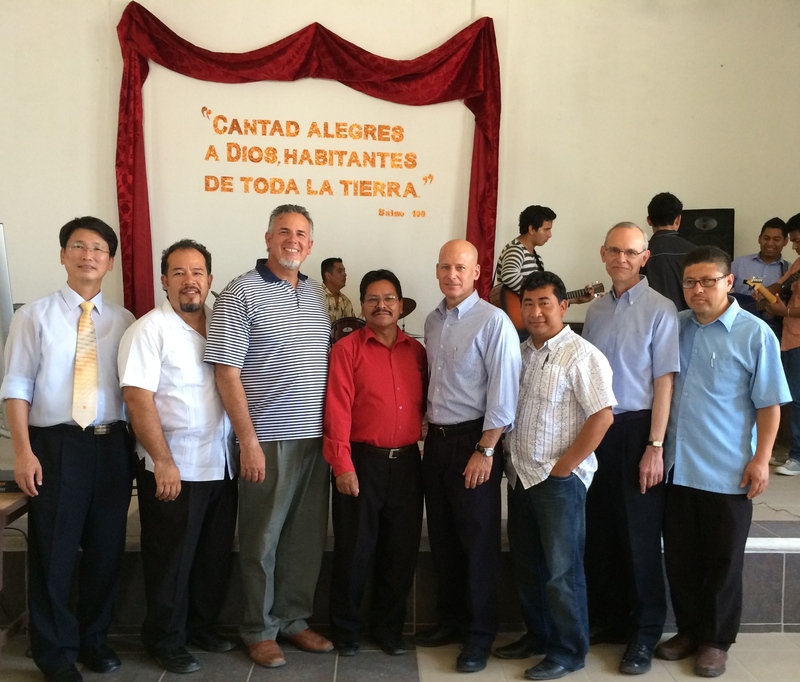 One of the things we still need is a Mexican National church planter to lead the project. We hope to identify one by the end of March. Pray that the Lord will bring all the loose pieces together. 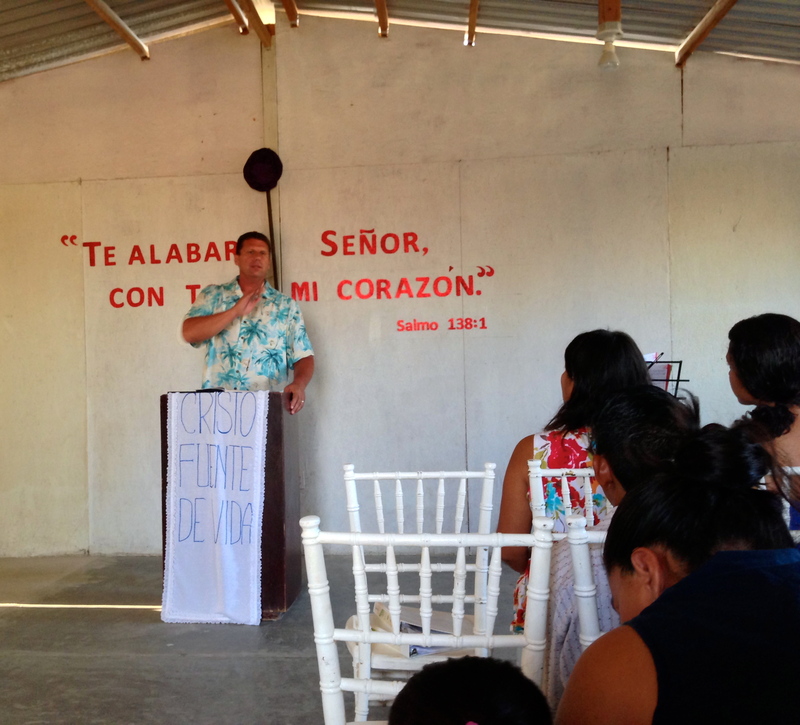 Our desire is to honor him and see people won to Christ through this new church. Those that come into the church will become mature followers of Jesus, and as the Lord brings the increase we will see more churches started. I feel that we need a lot of wisdom as we set the church plant up. There are a number of things that still need to fall in place. Please join us in lifting these needs up to the Lord!